Raise your Glass to Dunkin Donuts! I grew up in Missouri. Missouri has very few Dunkin Donuts; this is tragic and out of my control. I moved to New England. New England has a Dunkin Donuts (or two or three) on every corner in every town and no, I. am. not. exaggerating. Every corner people. Dunkin Donuts is the best thing that has ever happened to me. 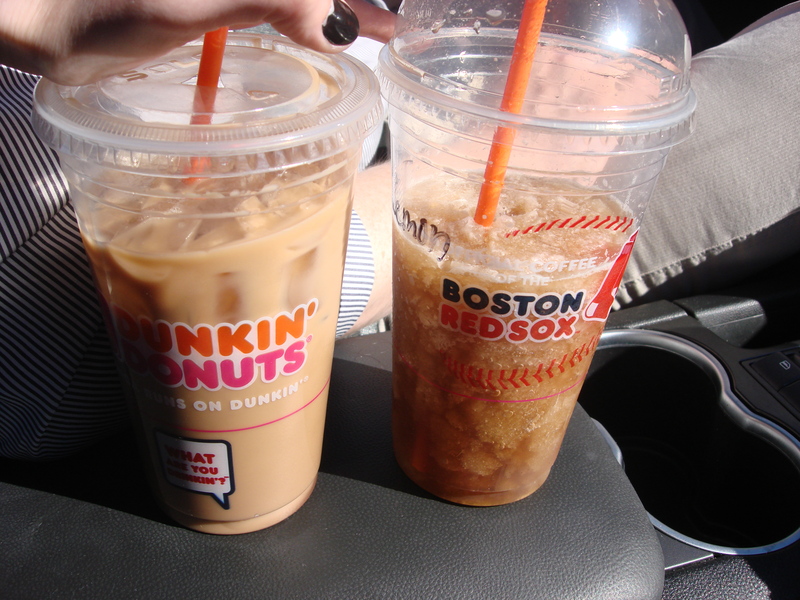 They say “America runs on Dunkin”—one thing is sure, New England runs on Dunkin like cars run on gas. We complain about the rising cost of fuel; no one complains about the cost of Dunkin fuel. You know why? a) It is not expensive. It is the people’s coffee unlike other snooty brands that start with star and end with spending big bucks. b) It does not matter if it is ever expensive because the people will pay for it and the people will drink it because the people of New England must needs have their Dunkin. Hail Dunkin Donuts! There have been several major natural disasters in the last year around here. To start, there was a tornado. Said tornado came offensively close to hitting our house. It did hit our car and our trees but you know what? After my husband and I confirmed that our house was still standing, we next wanted to know, “Is our local Dunkin okay?” It was, by the way and it’s a good thing because I dare say we would have moved to a different town altogether if there were no Dunkin left standing in ours. Then there was a snowapocalypse in October. Everyone and their uncle in New England lost power for days and days. Let me tell you, we had no power for almost a week. It was freezing out and we had no heat, no water, we couldn’t even flush the toilette. Oh, and my parents were in town visiting (of course they were). And the car was well nigh out of gas and there were no gas stations open and we were almost out of food and no grocery stores were open. And you want to know what the worst thing of all was? Of course you do. THERE WERE NO DUNKIN DONUTS OPEN FOR LIKE THREE DAYS. I almost killed myself. That’s what happens when you become dependent on a substance and bam, you can’t have it for three days. Let me tell you folks, them were the worst three days New England’s ever seen because you have all these coffee deprived zombies wandering the streets looking for a cup of Dunkin. It was very nearly the end of the world. Dunkin Donuts makes me happy. I would like to be a world traveler you know, but I’ve come to reconcile myself to the fact that I cannot leave New England and stray too far from Dunkin. I will never live in another part of the country because it’s too big a risk that I’ll have to drive more than a mile to get a coffee. Iced mocha latte with whole milk and sugar! Be still my soul. Mint hot chocolate with a Turbo shot of espresso and extra whipped cream! Welcome to glory. Hot pumpkin latte with whole milk and sugar! Have mercy. Oh, and did I mention the amazingly friendly staff at Dunkin that always have my husband’s coffee on the counter for him made to his exact specifications before he even gets up to order? THESE PEOPLE SHOULD BE RUNNING THE COUNTRY! Move aside Obama, it’s time for change. Talk about uniting parties, yes, I dare say Dunkin can do that. 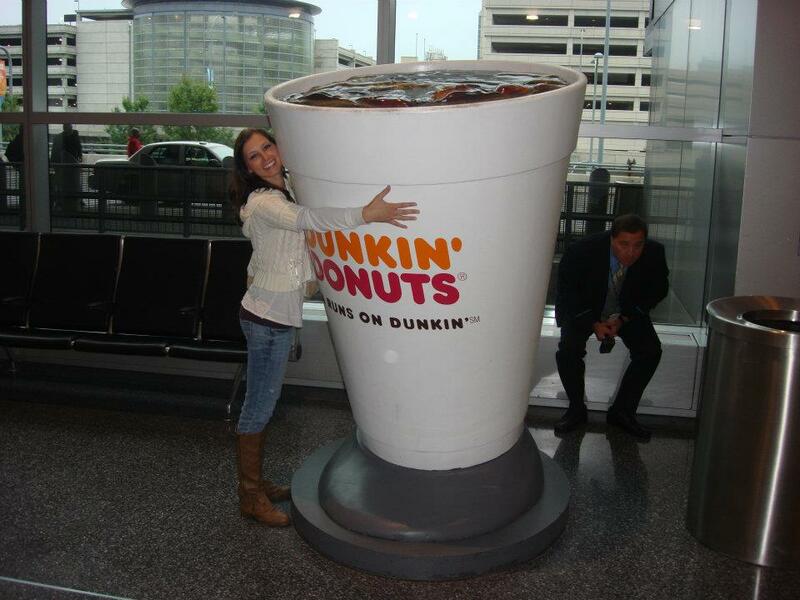 I vote we truck Dunkin into the Senate and see how quick they start loving and hugging. 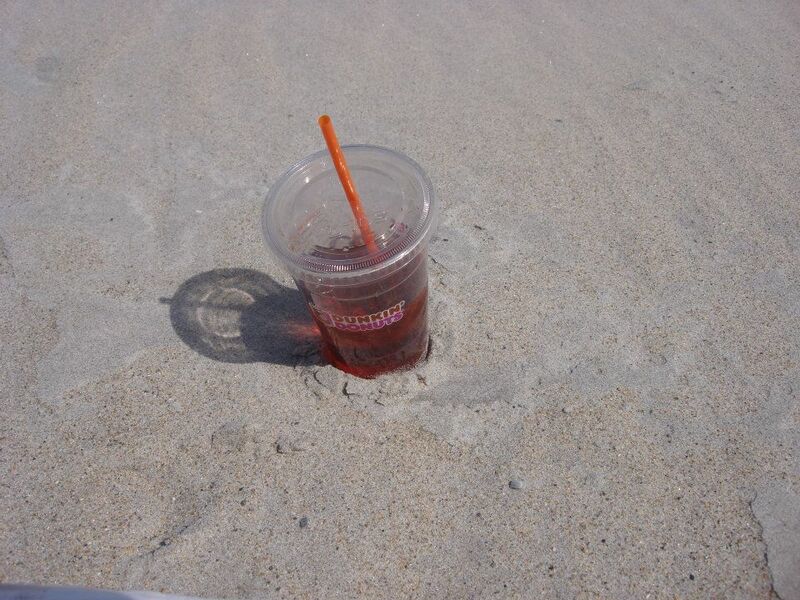 This entry was posted in Archives + Other and tagged Dunkin' Donuts, Food, Humor, New England. Bookmark the permalink. I am a native New Englander, born in Massachusetts and I miss order my medium coffee, regular! DD is the bomb! Thanks for the fun post! LOVE. Your. Smile. And. Donuts. Mmm.. Homer Simpson ain’t go nothin’ on you! Amy, thank you so much for reading and commenting and for the encouraging words! You’re pretty! And I love Dunkin Donuts! Oh thank you! I’m glad to meet so many other Dunkin fans! My city only has 3 Dunkin Donuts and they are all sharing space with Baskin Robbins, a handful of hookers and a few crack heads. The ones in your neck of the woods look MUCH nicer. 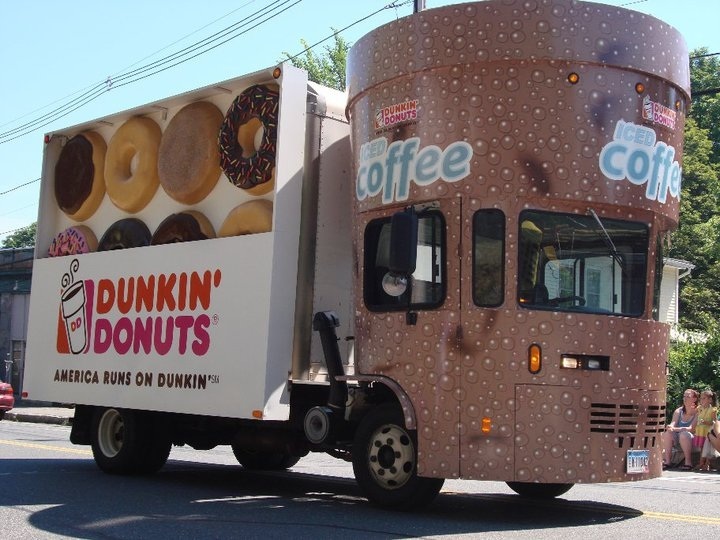 Love the Dunkin Truck by the way! I am not fond of McDonald’s that is all I can say. I am very sure that I can say that this post is The Greatest Post Ever! I am completely amazed about how much my wife and I (and our boys) miss the Dunkins in New England. 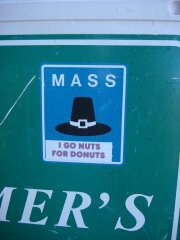 And only in New England. For some reason when you visit one out of the region, like here in PA, they are not the same. So how do I remedy that you ask? Well of course I buy and brew my own at home, but that’s beside the point. Anyway, the coffee is fantastic there in New England, especially in Mass (side note, I too am originally from MO, but moved to MA just under a year of my birth), although RI, CT, ME, NH, and VT are just as good. And the selection of donuts is superb. No where else can you find a type of munchkin for every type of regular donut. Boston Creme munchkin? Yes please! The best thing that ever happened to the sleeper town of my youth, Norfolk, was when the Dunkin went up right by the train, and Fire/Police station. I bet you had a better day for it too! I too love Dunkin Donuts. You should travel here in the Philppines, Filipinos too love it. Who knew the Philippines had Dunkin Donuts–so cool! You bet! Even bus terminals here have a DD kiosk! I don’t fail to have DD’s hot chocolate whenever I’m traveling. Fun post… nice use of graphics… especially with you in them! I live in the Pacific Northwest… we have a Starbucks on every corner… I am not exaggerating. Wow. Someone flip the lid closed on my laptop or I’ll sit up and read your blog all night. Hard to comment on one post over another since I’m enjoying them all. I’ll pick this one instead of the previous one because, well, I want to feel important and not get lost in the big crowd below. 😉 We have a lot in common (except our generation) and just enough difference in perspective or experience to make things interesting — like the satisfaction that comes from an engaging conversation. I’m new to blogs and have not yet mastered the design issues on the writing end or the ins and outs of finding all the right liking, following and bookmarking buttons on the reading end. But cast a look over your shoulder –I’ll be following you. If I find the right button that is. You just made my day—thank you for reading and commenting! I loved this! If you changed it to Tim Horton’s, you would be expressing Canadian thoughts! Timmie’s rules here…. I’ve never been to a Dunkin, although we do have them in Wisconsin. I buy their hazelnut ground coffee at the grocery store sometimes. Some of the best ever. Love your wise thoughts about leading the country and uniting people! It can be simpler than we think. Cute pictures too. Congratulations on being Freshly Pressed! Oh, you should try them! And thanks for reading! ‘Love those photos. 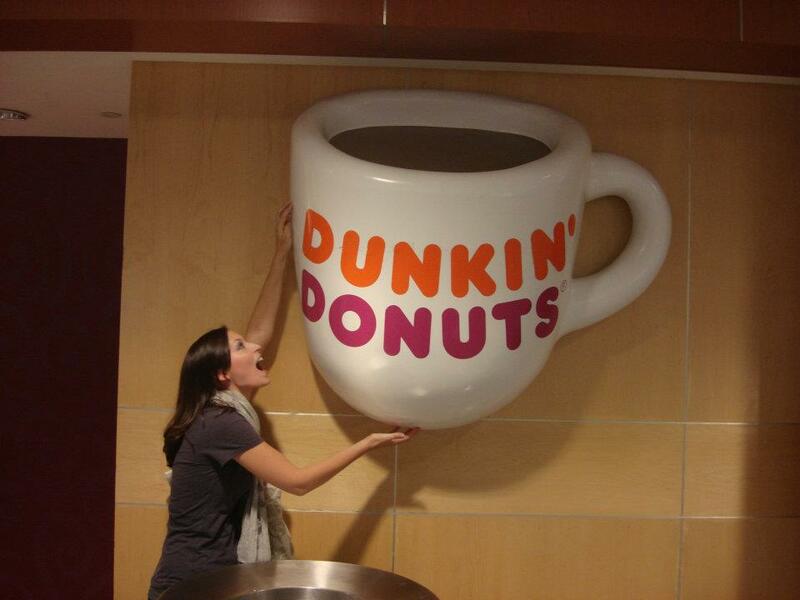 Would be fun to have pictures taken holding those Dunkin’ Donuts big cups too. 🙂 ‘Love the smell of their coffee and donuts very much. Oh man, I love the smell of their coffee too! Thanks for reading! I love that these are based on Dunkin Donuts and not Starbucks. I love Dunkin Donuts. 😀 And I love the pics. As you might have noticed, I love Dunkin too :] Thanks for reading! I must say, this post had me laughing so hard! Makes me wish we had a dunkin’s here. I love Dunks. I’ve lived in Mass my whole life and I have never known a world without it. When I drive to school, I pass by 5 different stores and I’ll be damned if I don’t stop at one of them. They do make the world go ’round do they not? Thanks for reading! This made me smile. Thanks. I love, love, love Dunkin’ Donuts. Unfortunately, it is a 50 minute drive to the nearest Dunkin’ Donuts. So, I envy you with your locations at every corner. I was telling my husband the other day that the little building in town that was now empty would make a great Dunkin Donuts location… room for a drive through, plenty of parking. I’d bet they’d get a lot of business here. Maybe we can get them to open in our little town. I hope you get your Dunkin—50 minutes is way too far! Dunkin Donuts = the best!! I missed them when we lived in another part of the country (where the snooty coffee shops are on every street corner!). Fun post!! Absolutely sensible. Thank you for saying what needed to be said though it shouldn’t need to be said. The other stuff tastes like dandelion stems. That is not bad on its own but it shoiuld taste like coffee. Glad to have met another Dunkin fan! Thanks for reading! 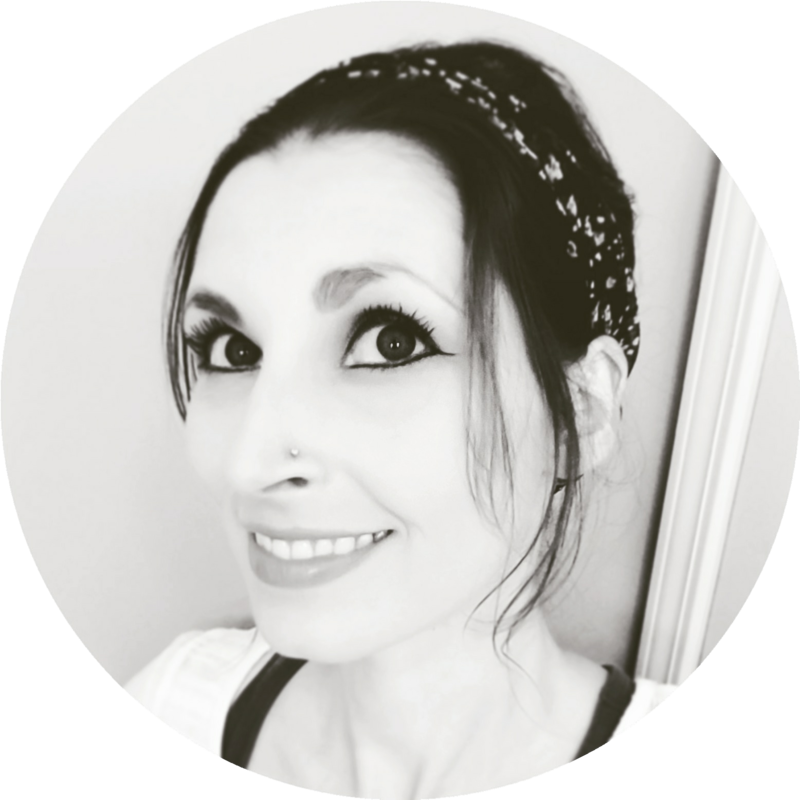 Visited your blog via Freshly Pressed (congrats!) and then saw this Dunkin’ Donuts post. I grew up in Massachusetts, a short amble from the neighborhood DD. Many a weekend morning, I was dispatched there by Mom and Dad to pick up breakfast. I’ve lived in California for about 13 years now. Sadly, we are Dunkin-less out here. But I do miss my munchkins. Thanks for the tribute. It’s a little reminder of my childhood. Well, if you can plan accordingly, you can travel and have your Dunkin’. I found one in Rome, Italy. And I believe my husband found some in the Caribbean. You know, for future reference! Aww thanks! And thanks for reading! Agreed. When I’m out and about and need a quick coffee fix, I’m probably going to opt for the DD. Also those coffee cups are insanely large. Be careful. They are insanely large and they make me insanely happy :] Thanks for reading and commenting!